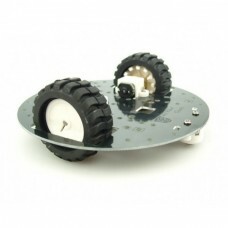 The MiniQ 2WD Robot Chassis is a small robot body that features a set of two fast metal gear motors. A small ball caster wheel provides stability. This is the same chassis used by the 2WD MiniQ Robot. 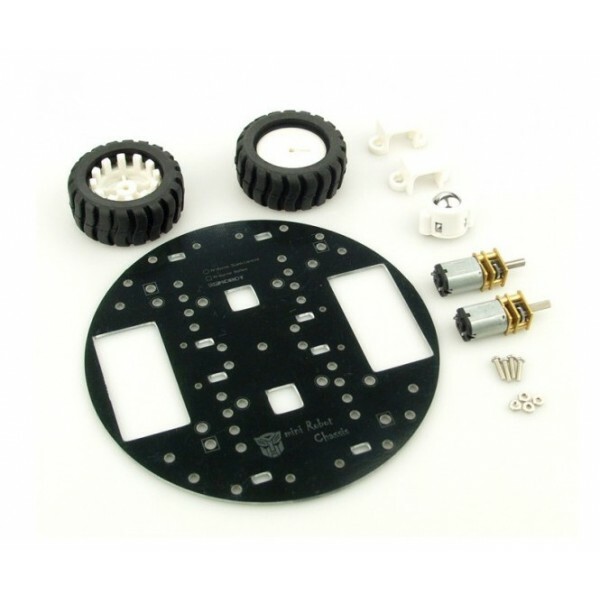 This platform can be assembled in a few minutes by simply attaching eight screws. The chassis is approximately 4.8 inches (122 mm) in diameter. This item includes two N20 motors with rubber wheels and mounting brackets, one metal ball caster wheel, the chassis plate and a set of screws.